WOW! 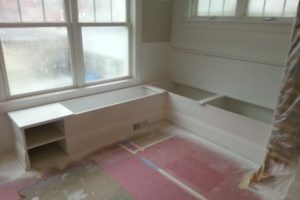 I have been away from the blog for a bit…but work has continued on the custom home in Andersonville despite my absense! 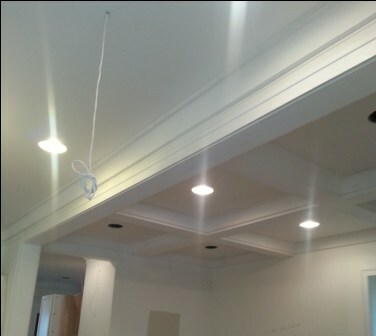 Since last I updated we have worked on electrical systems, HVAC ystems, installed tile, installed hardwod floors and added trim thoughout the house. But the biggest change of all is the CABINETS! 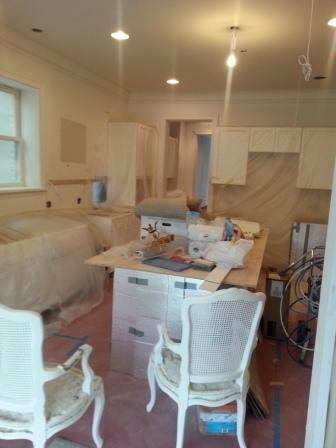 Also in this kitchen – a custom built in banqettte int eh eat-in kitchen. 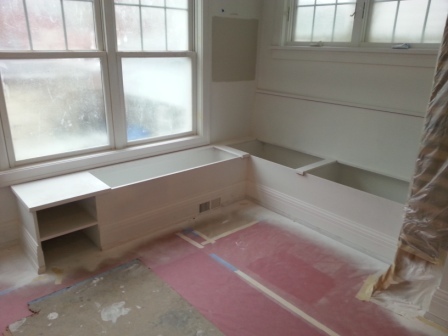 The banquette was built onsite. The coffreed ceiling is the adjacent family room? Yep, conceived and compelted onsite. Neither was included in the original plans. This me friendsd is the value of a talented groups of contractors working WITH you. I will be posting several times this wek becuase there is just so much going on. Next up, paint colors!